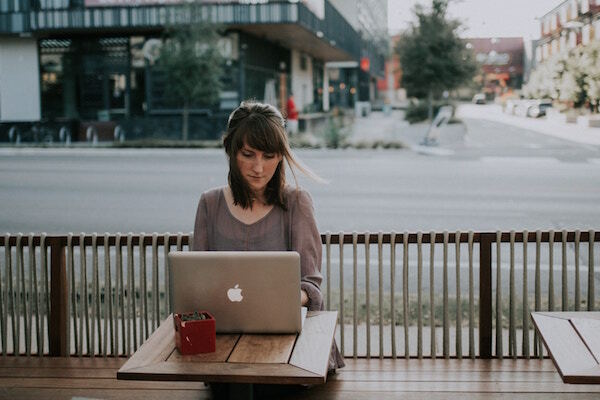 Digital credentialing and microcredentialing are two advances, driven by technology, pushing a paradigm shift in higher education and the labor market that recognizes lifelong learning as the new normal. Digital credentials are at the forefront of broader technological innovation in the academic sector and signal the possibility of broader cooperation between higher education and the labor market—but, as Louis Soares points out, the revolution towards a true learning economy is far from finished. For evidence of this expansion, the American Council on Education (ACE) has partnered with Credly to allow participants in ACE’s College Credit Recommendation Service to award badges recognizing professional and academic achievements. In this interview, Soares lays the groundwork for continued growth in digital credentialing, and discusses the role of the ACE in exploring, adopting and acculturating technological change in higher education. The EvoLLLution (Evo): What role does the American Council on Education play in changing the conversation around digital credentialing? Louis Soares (LS): The American Council on Education serves as the intermediary between colleges and employers, acting and advocating on behalf of students to improve access to relevant, current and work-appropriate education. In this capacity, we’re responsible for exploring innovations in the postsecondary space that may make it easier for post-traditional learners to access and move through higher education. Digital credentialing is one of those innovations. Evo: Why has interest in digital credentials grown so much over the past few years? LS: The reason for growing interest in digital credentials is twofold. On the demand side, as the level of technology involved in informing recruiting and hiring practices increases, so too will the demand for digital badges. Employers are using increasingly sophisticated software tools in people analytics that are driving their ability to know very specific skills sets that potential employees have. Whether it’s by using software that allows them to read resumes or perform mini-assessments to measure certain key skills, the demand side of the labour market is becoming increasingly more automated. Digital badges can interface with recruiting technology to make hiring more efficient and accurate. On the supply side, colleges are viewing badges as a way to augment, enhance or diversify a student’s skill set without requiring them to take a full additional degree. For example, if you have someone with a liberal arts degree in English, how does adding a course in statistics or data analysis impact their income level? Badges are a way to augment the core offering of a college degree program and enhance a student’s employability. 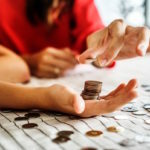 Evo: When we’re considering the increasing growth and popularization of digital credentials, how do you expect this evolution to impact the recognition of non-credit learning and education? LS: A badge is an emblem of competencies, but you also have to look at the program itself to decide what reference points of quality you can communicate to folks that may want to understand if something has been learned. As educational offerings emerge outside of the traditional degree structure, we need to come to a new understanding of what quality assurance looks like. Traditionally, in the United States, we use the regional accreditation model as the gold standard of accrediting institutions, but that model assumes that all learning is happening within a traditional college setting. If non-traditional courses are being offered outside of college settings, how do we ensure that they meet rigorous standards of quality? We’ve tackled the answer in a few ways. One is by looking at quality assurance at the program level rather than the course level. Recently, we made an announcement that ACE is going to leverage the Credly platform to add in the ability to include transcript and badge competencies on our more traditional credit evaluation transcripts. Evo: What’s it going to take to build a common language that’s going to help employers and learners come to a common understanding of what different digital credentials mean? LS: The easy answer is that if you’re going to make visible learning through digital forms, you have to leverage the strengths of the digital platform: transparency, data richness, security, insights, portability and the ability to analyze the data. The bigger challenge lies in understanding the structural and cultural nature of digital credentialing, and building a common language based on that. Digital credentials are structured based on an understanding of good pedagogy, with formative and summative assessments to understand what people have learned, but they’re also very cultural. 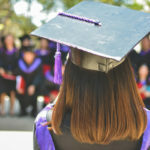 As we begin to enhance and enrich the ways that we think about postsecondary learning—that is, by positioning degrees as the central offering and developing stackable credentials that lead into that degree—it’s helping us understand how to handle and integrate those credentials in more or less disruptive ways. We need to do our best to build these digital offerings in ways that are pedagogically sound, and make sure that the culture surrounding digital badging is recognized not just within the academic system but in the labour market, too. If we’re adding to the diversity of signals from the supply side, how do we know that, culturally, those signals bear weight in the job market? We need to ensure that employers are shifting their understanding so that these digital offerings are honoured and respected as a method of documenting learning. Evo: Why have so many colleges and universities been so slow to adopt and offer digital credentials and badges? LS: The beauty of a four-year degree program lies in its ability to provide a student with the ability to drill down in a particular subject area, while still providing the space they need to explore and expand their knowledge in subject areas that may be entirely separate from their main area of focus. Digital badging is a way of recognizing not only those specific skills that a student acquires in the course of a traditional degree, but also those abilities gained while exploring possibilities in other fields. Employers want to know that prospective employees aren’t only skilled in one particular field: They want to hire critical thinkers, and a badge is a way of recognizing those more diverse, perhaps more esoteric, areas of learning. Being able to document learning in smaller bundles is valuable to the school, to the student, and to external stakeholders. Now a student doesn’t have to do a full degree program to gain proficiencies in broader subject areas. Instead, he or she can be recognized for targeted areas of learning. Evo: What’s it going to take to change the way that colleges and universities leverage digital credentials to recognize and award learning? LS: The use of digital credentialing will grow as colleges and universities start to see positive outcomes. 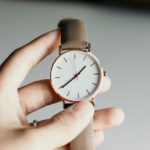 The emerging learning economy is already proving to have pedagogical and academic benefits for students and instructors: administrators are finding that documenting smaller bundles of learning helps students retain information and stay motivated, while instructors are able to provide more targeted, responsive syllabi. At their core, digital credentials are simply another tool to validate learning. It’s going to take some time for the broader academic culture to accept their use, but as we continue to validate the outcomes of digital learning and prove that they’re adding to our ability to teach effectively, we’ll see them more and more. Opening the dialogue between students, institutions and employers is central to making this happen. We’re still learning new ways of communicating between employers and academic institutions in ways that resonate for them both, and giving them a common language to understand digital credentials is critically important. For example, the Colorado Community College System built a badging initiative around advanced manufacturing, working very closely with employers in their area to ensure that the program was industry-relevant. Later, CCCS built a similar program around healthcare, and because they had already had the dialogue with advanced manufacturing, replicating that in healthcare became easier. Now, this has become more a normal part of how they do business. Those dialogues are where a lot of the cutting-edge action is. We’re going to see it impacting how badges are used and accepted both on the academic side and the employer side. 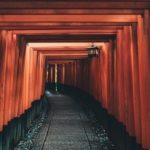 Evo: Is there anything else you’d like to add about creating a larger movement behind digital credentials and the role of associations like the American Council on Education in moving the needle? LS: The American Council on Education provides a responsible risk space to explore new learning technologies and their use in academic and employment contexts. Because we’ve been an innovator in this space, we can act as a forerunner in this sector and provide those initial insights into new technologies like badging, without posing risks to the institutions or to employers who may not want to lead the charge in adopting new technologies. The move towards a learning economy encompasses lifelong learning and competency-based education, but it’s much deeper than that. It’s about the ways that human beings are changing how they understand learning. We are at the very beginning of that process. Whether I’m speaking to employer groups or college groups, I always say, “let’s understand that we’re innovating and experimenting with this broader transformation around learning.” Our need to learn about where learning is going should be always top of mind, even as we’re trying to design new tools and structures to help it fit into the way we do work today. Digital credentials are a part of this broader revelation in learning, but that revelation is still unfolding and we need to be humble about that. The growth of microcredentialing is a signal that there’s a broad shift in the way learners and employers understand the necessity for lifelong learning in the new labor market. 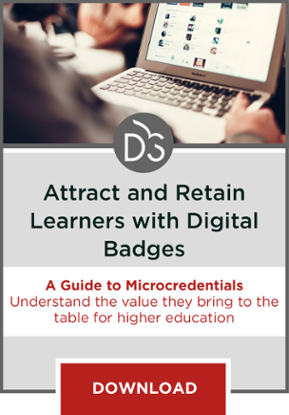 Students, instructors, employers and institutions all see shared benefits from micro- and digital credentials, but it’s critical to create a common language to ensure everyone’s on the same page when discussing them. Quality assurance mechanisms need to evolve to keep pace with changing needs and expectations from higher education’s key stakeholders—otherwise postsecondary institutions will be left behind.